Spider-Gwen rocks out on a rooftop listening to her favorite tunes and is rudely interrupted by Venom - if he wants a battle, he'll have to face the music - literally! 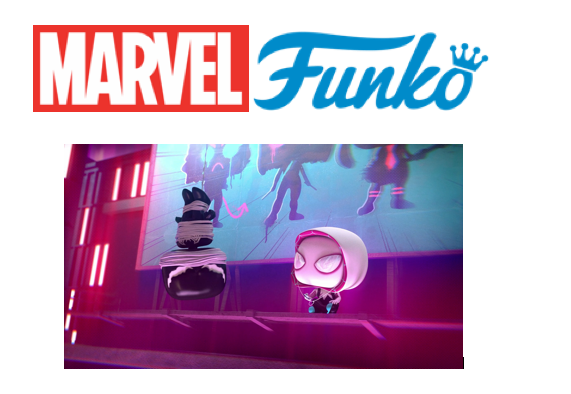 Marvel and Funko have collaborated to create a second season of the extremely popular Marvel Funko animated shorts, the seventh of which, Rooftop Rock premiered at WonderCon today! There will be 8 Marvel Funko animated shorts in total for this second season and each one is ninety seconds in length. Featuring some of Marvel’s most popular Super Heroes and Villains, including Thor, Loki, Hulk, Black Widow, Doctor Strange, Captain America, Red Skull, Ant-Man, Hulkbuster, Ultron, Spider-Gwen, and Venom, the new animated short Rooftop Rock is AVAILABLE NOW on the Marvel HQ YouTube page.